The SPEC.-OPS. 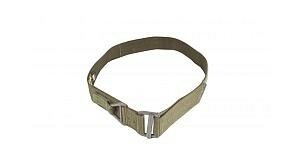 Brand "RIGGER'S BELT" is Spec-Ops version of the time honored design used by operators throughout the SOF community. These belts can be the difference between life and death in emergency situations. Designed to be the ideal back-up for a tactical harness used during air-frame tie-ins, rappelling, roping-off situations, or wherever you need an extra measure of security. This is an essential addition to your first line field gear assortment.